Pianist-composer Eric McElroy is an performer and teacher based in Oxford. Musical Opinion's January 2019 issue has declared Eric's latest song-cycle "a masterpiece by a young composer of whom much can be expected." 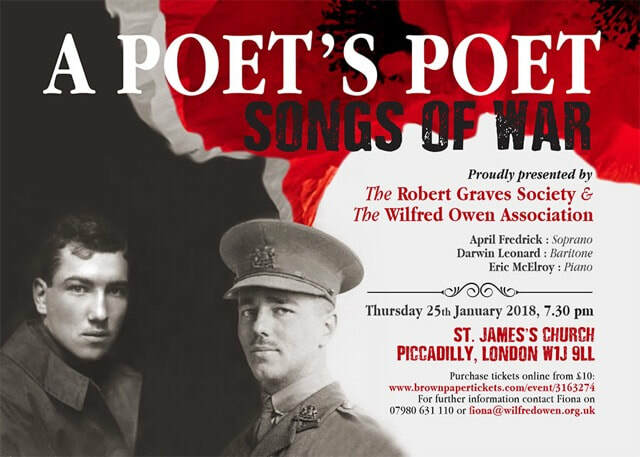 A Dead Man's Embers, Eric's song-cycle of poems by Robert Graves, was premiered at St. James's Piccadilly with soprano April Frederick in a concert sponsored by the Robert Graves Society, Wilfred Owen Association, and the John Ireland Trust. Robert Matthew-Walker's review described it as "an intensely dramatic set of songs [which] demands much from both soprano and pianist which, one is pleased to report, the music received in moving and powerful fashion, the concluding pages of the solo piano part delivered with stunning virtuosity..."